L x w x h (cm) : 30.5 x 22.5 x 0.8 Weight (gm): 444 Read about the world's most famous travelling reporter in his native language, French, as Tintin voyages to the Arctic Ocean in search of the meteorite that has crash-landed in the north. A huge fireball comes hurtling towards Earth from space! 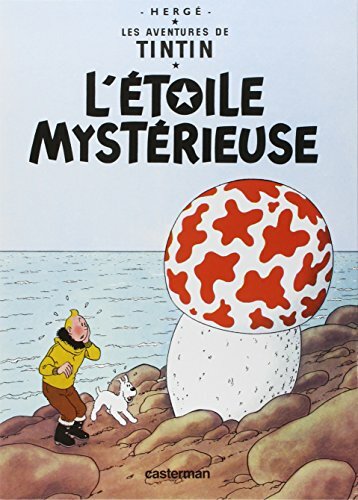 Tintin sets sail with Captain Haddock to find the meteorite in the stormy Arctic Ocean, but a valuable metal is contained in the meteorite and Tintin's attempts to reach it are met with relentless sabotage! Join the most iconic character in comics as he embark on an extraordinary adventure spanning historical and political events, and thrilling mysteries. Still selling over 100,000 copies every year in the UK and having been adapted for the silver screen by Steven Spielberg and Peter Jackson in 2011, The Adventures of Tintin continue to charm more than 80 years after they first found their way into publication. Since then an estimated 230 million copies have been sold, proving that comic books have the same power to entertain children and adults in the 21st century as they did in the early 20th. View More In Comics & Graphic Novels. If you have any questions about this product by Casterman (Educa Books), contact us by completing and submitting the form below. If you are looking for a specif part number, please include it with your message.